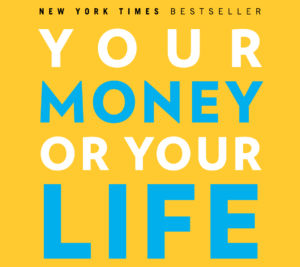 Your Money or Your Life – and everything you find here – is rooted in transforming your relationship with money, not just changing your money habits. The goal is to find and have “enough” (and then some) rather than always seeking “more”. This work requires rigor, honesty and a radical willingness to change. It equally requires curiosity and compassion, offering “no shame no blame” as a mantra for the journey. Money as a tool is both material and spiritual – to get what we need and to reflect on the meaning and purpose of our lives. We see our lives as both our own to live responsibly and as a gift and in service to our wider circles of community. The New York Times Bestseller completely revised and updated for the 21st century. The philosophy behind Your Money or Your Life started back in the 1970’s. Join the financial independent movement. Get strategies, inspiration, resources, support, and community.